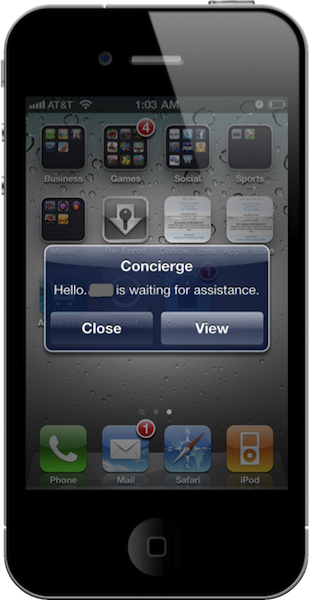 Old rumors of an Apple Concierge app for their retail store customers have reemerged with screenshots and more info surrounding exactly how users will take advantage of the app when scheduling Genius Bar appointments. 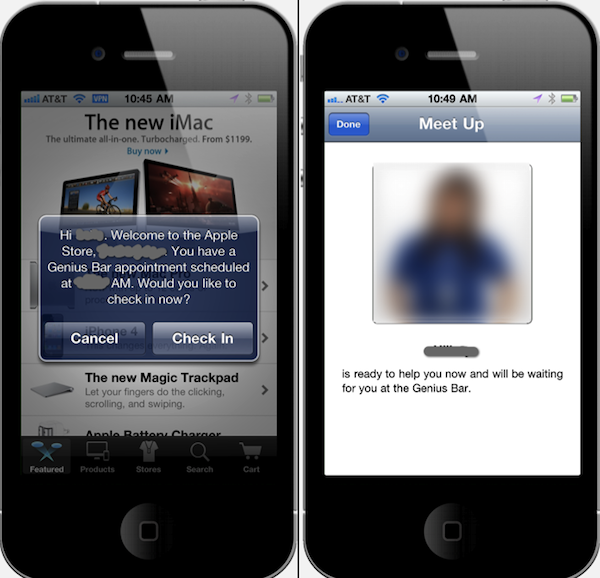 As shown in the images above and below, the app will prompt users with a push notification when entering an Apple retail store if they have Genius Bar appointment, allowing you to check in. Once checked in, you will be given info on your position in line as well as an image of an Apple employee that will be helping you. This is definitely a great idea for improving the Apple retail store experience, as most retail locations (in North America, anyway), have become infamous for their hectic atmosphere and heavy traffic.